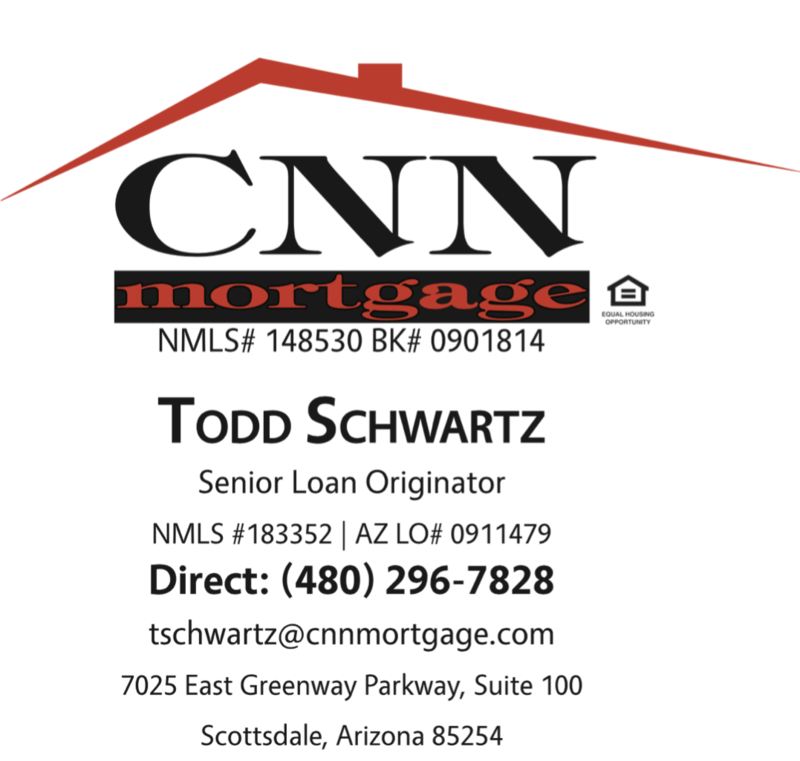 Todd Schwartz is a Senior Loan Originator with CNN Mortgage, originating Mortgage Loans since 1998. Todd has vast knowledge of Conventional, Jumbo and Government Loans. Specializing in First Time Home Buyers, Todd has helped hundreds of people purchase their first Home. Originally from Ohio, Todd graduated from the Carl Linder College of Business, at the University of Cincinnati. Today, Todd lives in North Scottsdale, with his wife and two children and their dog Ziggy. In his limited Time Off, Todd enjoys Family, Golf, and Fitness. He also enjoys playing Golf with his Father and visiting his parents, who currently reside in Tucson, AZ.